Do you like playing cards? Do you like Board & Cards computer game category? 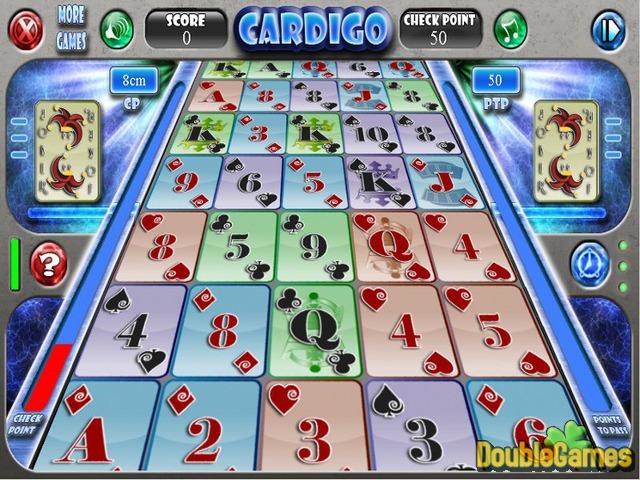 Then you will surely prize our freshest online game Cardigo! It is an absolutely unique game due to the unusual combination of Board & Cards and Match-3 genres. How is it possible? Play the game and try yourself! You have to find matching cards of one suit. Drag a card to make chains of at least three ones and get on the scoresheet! The rows of cards are moving quickly, so that you must be very attentive and prompt! The faster you are, the more matches you find, and the more points you earn! 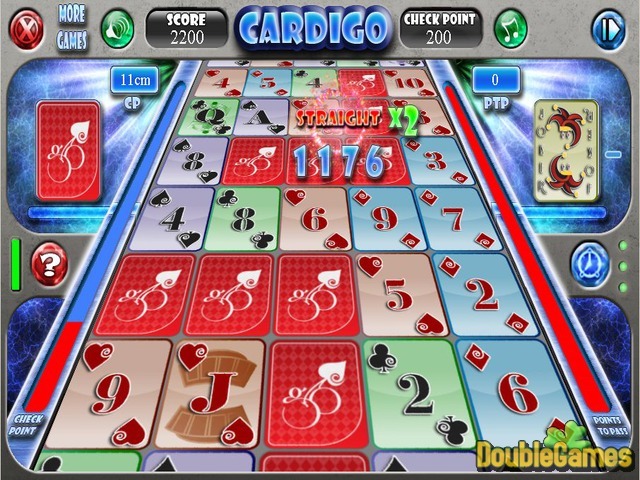 Play Cardigo online and just delight in gaming! 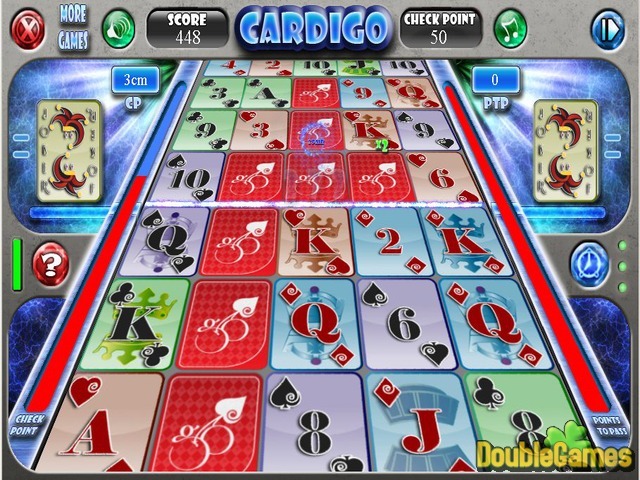 Title - Cardigo Online Game Description - Embark on Cardigo, a Board & Cards game designed by GameHouse. Play cards and a Match-3 game at the same time!